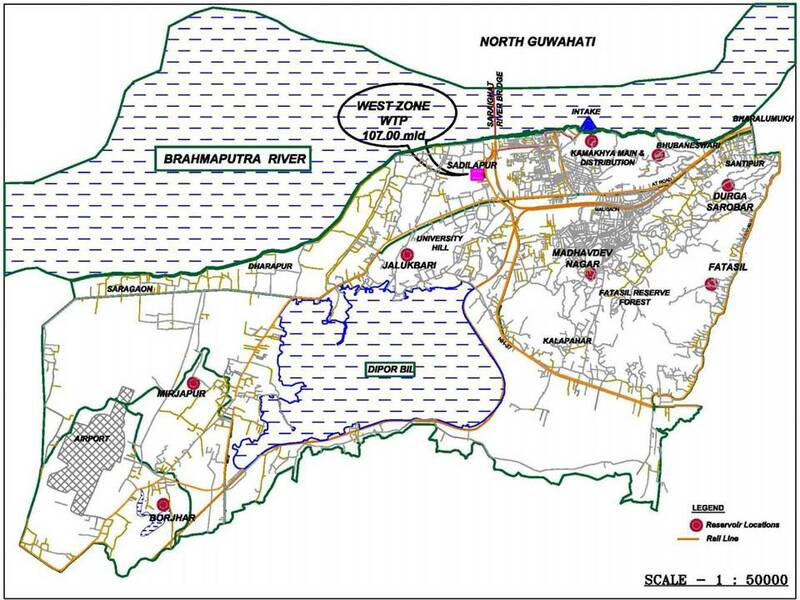 In order to provide affordable, reliable, safe, pressurized and continuous (24x7) supply of water to the Guwahati Metropolitan Area, the Government of Assam had taken up four major water supply projects, with the funding from Government of India (JNNURM) for the South West region, Japan International Cooperation Agency (JICA) for the North and South Central regions and ADB for the South East region. Guwahati Metropolitan Development Authority (GMDA) is implementing these projects through the independent Project Management Consultant/Implementation Units (PMC/PIU). The Guwahati Jal Board will be responsibility for operation and maintenance of these facilities upon their completion. The water supply projects in GMA are divided into zones funded by different organisations as shown in the map. 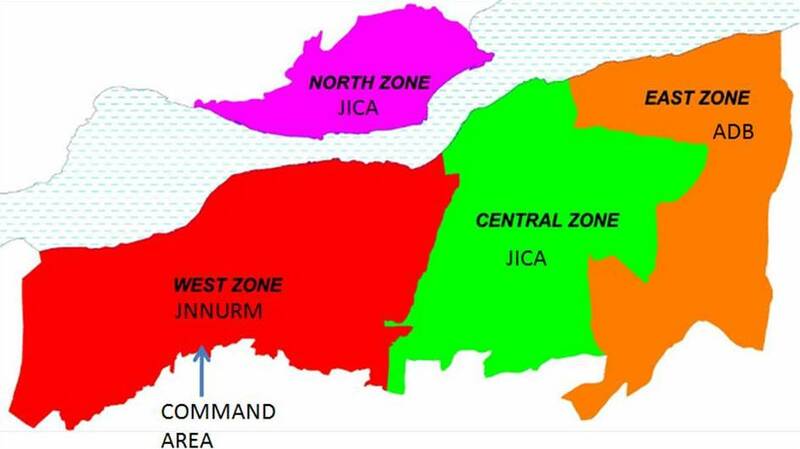 The JICA funded North Zone and South-Central Zone water supply project is being managed by the PIU, JICA Assisted Guwahati Water Supply Project. ADB funded Guwahati Water Supply Project is managed by the PMU, Assam Urban Infrastructure Investment Program (AUIIP).